Over My Shoulder by Jerry is now available. The cost of the book is $25, covers book, S&H to US destinations. Available from Jerry in person for $20. The Best of Ask Jerry is now available. The cost of the book is $22, covers book, S&H to US destinations. Available from Jerry in person for $18. 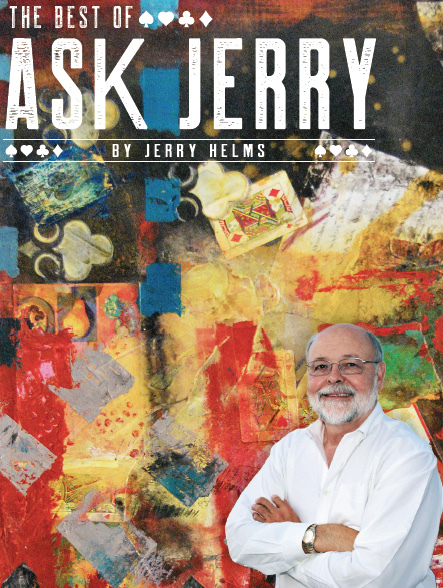 "Jerry Helms is one dynamic teacher you just can't miss. 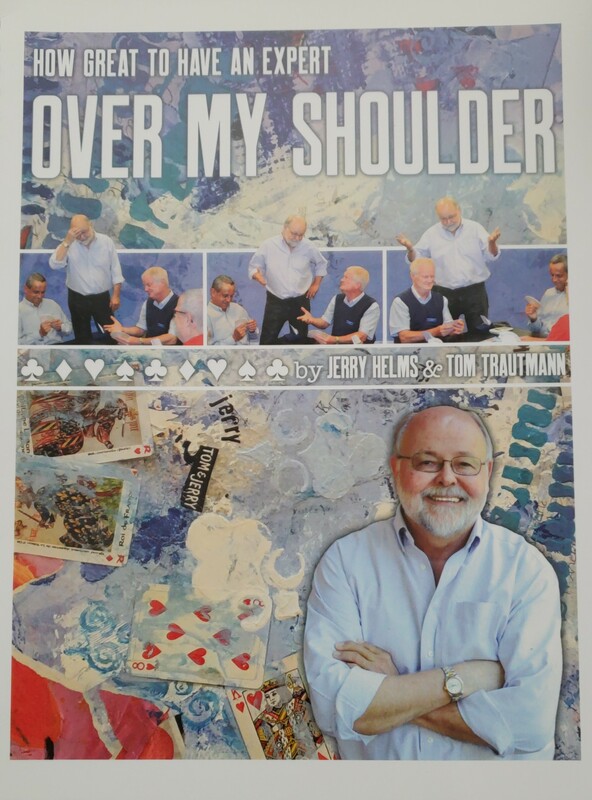 Well known for his humor and ability to mind-meld with his audience, you'll be amazed at how much Jerry can turn learning bridge into so much fun. He is the Pied Piper of bridge students at all levels. I have my own I Love Jerry button and encourage students and other bridge teachers alike to see this well loved bridge teacher in action." 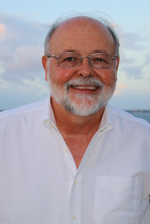 "I attended your most recent seminar in Jacksonville Florida. I was completely overwhelmed with the clarity of instruction that you provided. I learned more in the first two hours of the seminar than I have learned by reading the dozen plus bridge books I own. In the past I feel like I have stumbled around in the dark as declarer; this seminar turned on the LIGHTS! I now feel like I have an ingrained process for the approach to play of the hand. Wow! Why didn't I do this sooner?" "It is unusual for a top level player to be able to relate to newer players humor. Great presentation skills and the ability to provide clear and accurate explanations to players at any level make Jerry the ultimate bridge teacher." 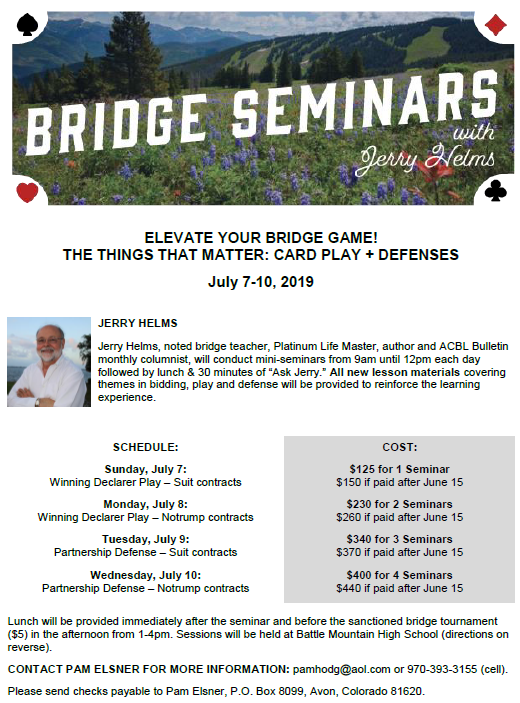 "Jerry Helms, world-class player and teacher, brings practical, relevant bridge information. His Jerry-isms offer insightful tips that have the power to energize your game." "Jerry has a unique rapport with his audience. He creates an instant link and people soak up everything he says. He manages to hit just the right level for all levels of players. Something for everyone. They love his sense of humor and his fabulous presentation." "I've worked with Jerry on a number of occasions on both land and sea. On his feet, Jerry has an amazing ability to answer questions in a manner that is easy to understand for players of all skill levels, and does so with a great sense of humor."